why stock shift lever is not folding? One of Yamaha's mystery. Can tell you, when the shifter goes 90* up on a get-off, it will spring back, and work just fine for going on 60K miles. It doesn't need to fold. "If" you have a get-off that tries to bend the shift lever, like HeliMark says, the rod going from the shift lever to the shift shaft will bend to the point that the shift lever will "cam over" and point straight up. 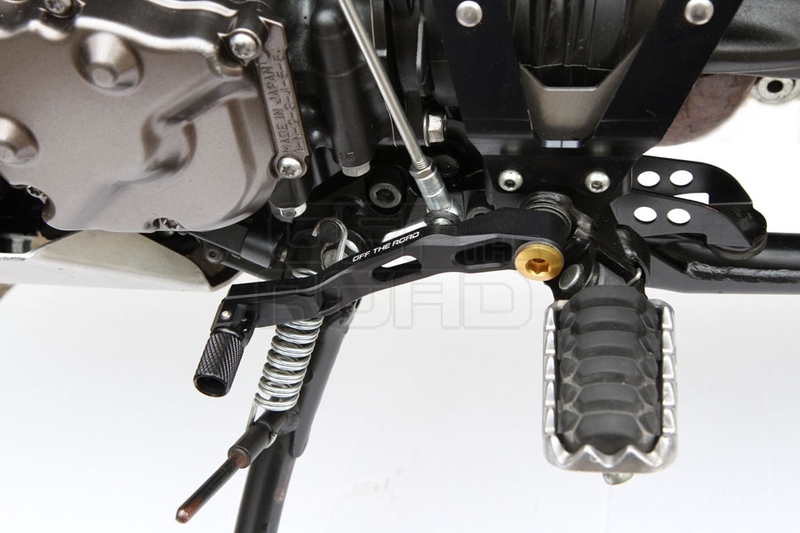 The rod bends but will spring back to a degree, and the shift lever can be pushed back down into position without disabling anything. Well, I think I have been lucky. First time, it snapped back. Second time, the lever slid the 90 without stripping the threads. I have some tools with the bike, and repositioned the lever back so I could ride home. 15K miles and still good. But, if I keep the bike (good chance of getting a new gen 2, or a 3), I will get a folding one. Not a good feeling when it happens, and the repair cost could be significant.